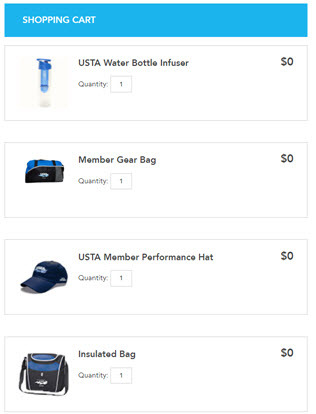 Every tennis player uses them, but which balls should I use? You may find Wilson and Penn tennis balls even at K-mart or local grocery store. 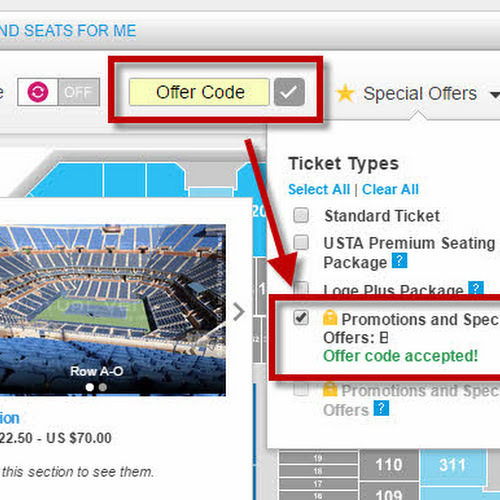 But unfortunately, not all brands and "tiers" of tennis balls are created equal: Championship, Tour, and Practice. 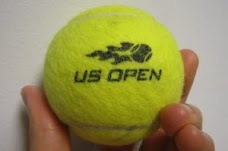 As a rule, if a ball goes "flat", you will hear a dull sound when hitting it or no longer bounces like the other balls. That's the sign that it's time to use a new ball. It may hurt your arm and technique if you continue to bat around deflated balls because you will overcompensate your swing and timing. Pros: Great for everyday rally hitting and playing a few sets. Available anywhere! You can find equally good prices (~$2/can) for these general purpose tennis balls and #1 selling ball in the US at both Amazon and Walmart. Often they offer free shipping when you're shopping other stuff from there anyway. 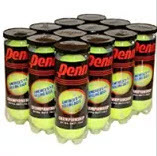 Penn Championship are also available at many Costco's, in packs of 20 cans (60 balls). These balls will last usually at least 2-3 hours of continuous hitting for most casual players. If you need fewer than 20 cans at a time, than I would recommend the 12-can mini case from Amazon instead, so you don't have to make a special trip out or get any membership for Costco. As an alternative, if you want to get balls that people commented as feeling "softer" than the Penn's at impact, then I would try Wilson. If only playing about once a week or just learning the game, these are a good choice. With a price around $1.89/can, beginners can spare to hit a few home runs :). These Wilson Championship balls which can be found everywhere like Target or Walmart. The Wilson "US Open" Heavy Duty work consistently well on most hard courts in North America. The "ATP" Pro Penn balls are another excellent brand for extended competitive play. They are bright, well-sown and especially durable in the summer heat. It will still hold their bounce well after 3-4 sets of a match, then can be stored as practice balls or for serving later. It also comes in a case size (24 cans)...which still comes out to less than $3/can for premium quality (nitrogen pressurized) tennis ball cans that which will usually last you the whole season. You can get these Gamma Pro Tour Balls at $69.99 from Sporting Goods stores or even Amazon with free shipping. These are one of the longest lasting and overall best performing tennis balls out in the market and a bit hard to find for this price if sold individually. Some knock-off brands at the Dollar Store may look fine, maybe works for playing fetch with Fido in the park...but for regular usage, I would stay away from anything labeled "Penn Practice" or "Coach" as they are usually not pressurized properly or have defects and QA issues. Once they lose their felt and get "bald" quickly - it results in no spin or just plain sliding right through the court with funny bounces in between. This can hurt your game as well as your arm* so buyer beware.